Originated by Dr. Kevin Vaughn of Massachusetts and registered by Paul Aden of Garden of Aden in New York in 1986, this fast growing cultivar was registered as a hybrid of H. 'Fragrant Bouquet' × an unnamed seedling (See next paragraph). 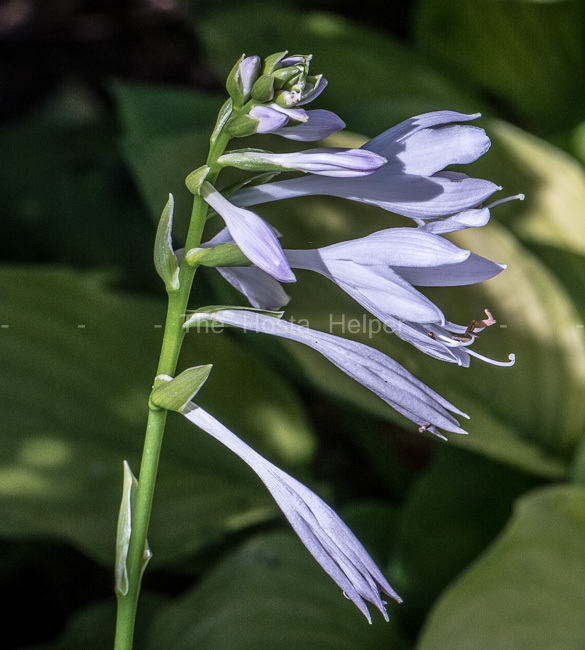 It was honored with the 1996 American Hosta Growers Association "Hosta of the Year" aware. This is another of the plants associated with Paul Aden that has controversy attached. An article in The Hosta Journal, (2016 Vol. 47 No 1), states "Aden's 1986 registration stated that 'So Sweet' is a hybrid between 'Fragrant Bouquet' and an unnamed seedling of Aden's. This is not correct." Dr. Vaughn who actually originated this plant over 30 years ago went on to speculate that "...the pod parent is the medio-variegated sibling to 'Summer Fragrance'. The pollen parent is either another sibling to 'Summer Fragrance' or a seedling from 'Snow Flakes' × H. plantaginea. I made both of those crosses." A large size (22 inches high by 50 inches wide) plant, it has slightly shiny, wavy and smooth textured leaves. The flowers are pale lavender, fragrant, funnel shaped and bloom in August but produces few viable seeds. According to The Hostapedia by Mark Zilis (2009), this cultivar "...has long been one of the top hostas for landscaping purposes...fast growth rate." 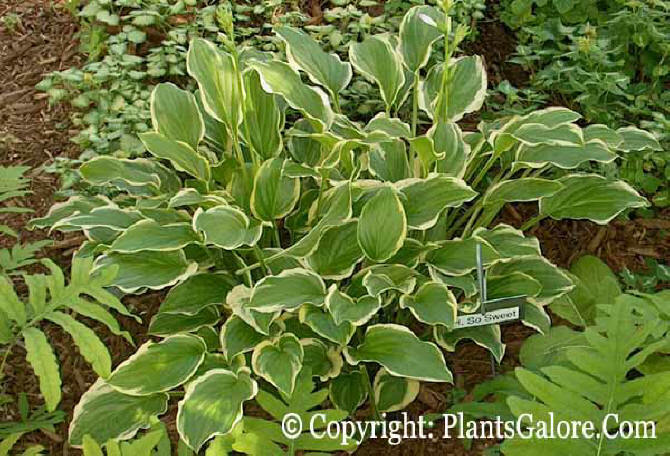 The New Encyclopedia of Hostas by Diana Grenfell (2009) states: "Leaves are much narrower in juvenile plants. Increases rapidly and soon reaches maturity. Superb in containers, especially when sited near the house so that its fragrant flowers, which can last until the frosts in cooler climates." An article by Warren I. Pollock in The Hosta Journal (2014 Vol. 45 No. 1) states that, "The American Hosta Society Cultivar Origination Commission…concluded that Kevin C. Vaughn and the late Florence Shaw should be credited for some of Aden’s registrations…Eight of Paul Aden ’s crème de la crème registrations are credited to Kevin Vaughn as originator and 16 to Florence Shaw…Among them are H. ‘Fragrant Bouquet’ (K. Vaughn – 1982), ‘So Sweet’ (K. Vaughn –1986), ‘Zounds’ (F. Shaw – 1978), ‘Love Pat’ (F. Shaw – 1978), ‘Sum and Substance’ (F. Shaw – 1980) and ‘Blue Angel’ (F. Shaw – 1986)." In an article in The Hosta Journal (2016 Vol. 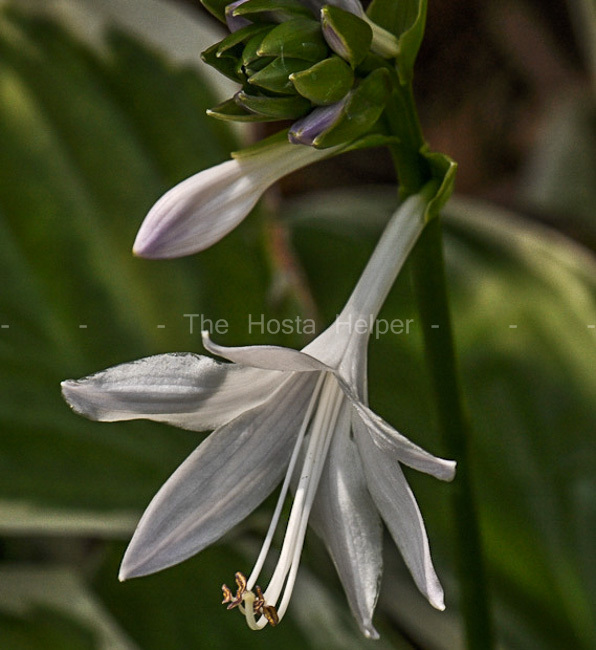 47 No 2), the author described this plant's flowers as having a "Strong" fragrance compared to other hostas.